Photos (Team management website) - Disaster Surveyor Systems, Inc. The commander edition website displays all team member uploaded photos saved to any form that is sent to the server. Photos are show in thumbnail grid view, and can be sorted by form as well. The commander can choose to delete any photos they wish not to include in the final pdf report generated for each type of form, before it is sent on to external parties. 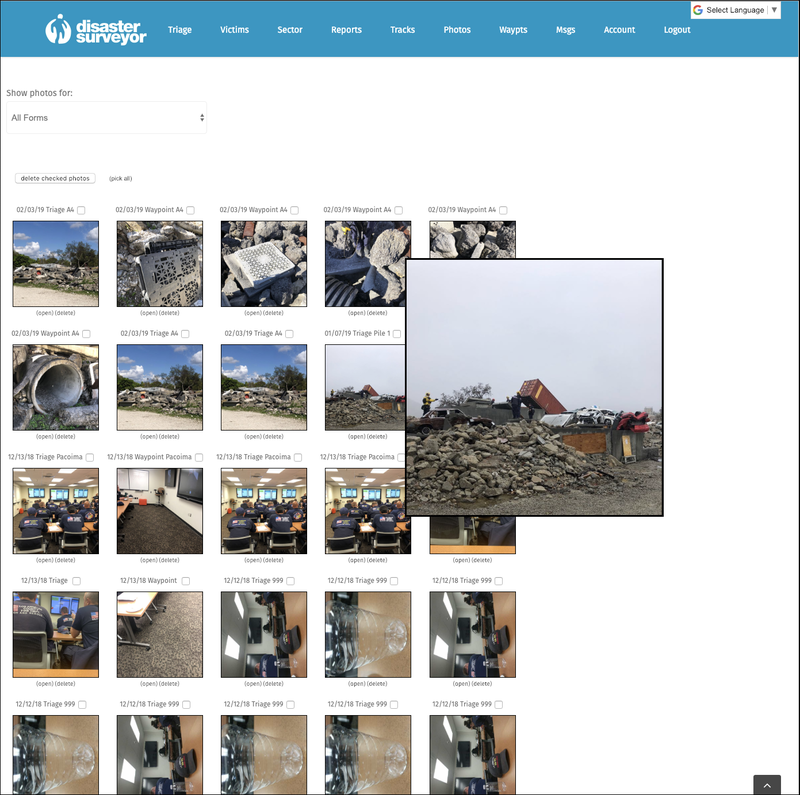 Because Disaster Surveyor is built with the boots on the ground first, commanders can edit and/or delete photos on the website, and ask a rescue worker to re-upload their forms with their photos without affecting the copy on the mobile device for that user. Only photos for users selected for display in the operation (in the “Account” settings) are displayed for management.